Life's Better with accurate data capture. No one is closer to patients and residents than direct care workers. To perform at their very best, caregivers are often plagued with as many as 5 separate electronic devices for documenting ADLs, vitals, communicating, nurse call, and other resident needs like calendars of appointments. Deploying, training, and managing multiple devices is cumbersome and impractical. 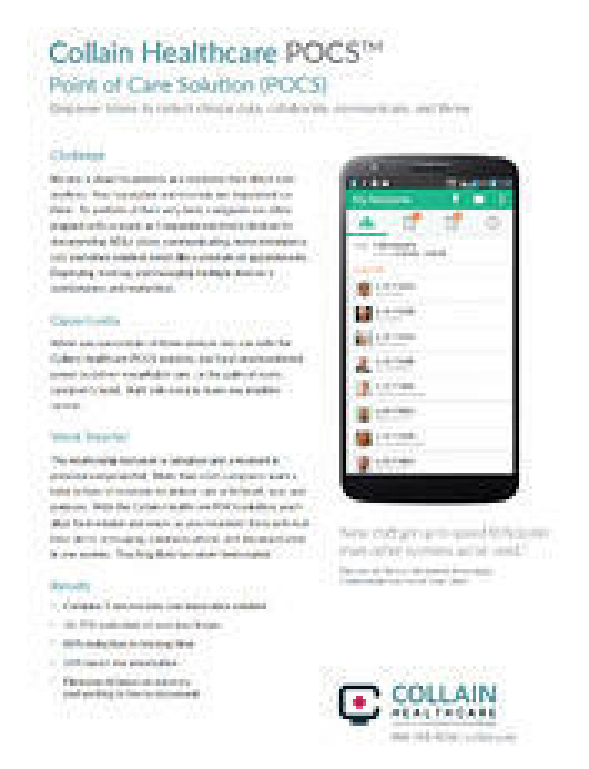 Put unprecedented power to deliver remarkable care ... in the palm of every caregiver's hand. With the Collain Healthcare Point of Care Solution (POCS), staff only need to learn one intuitive system. 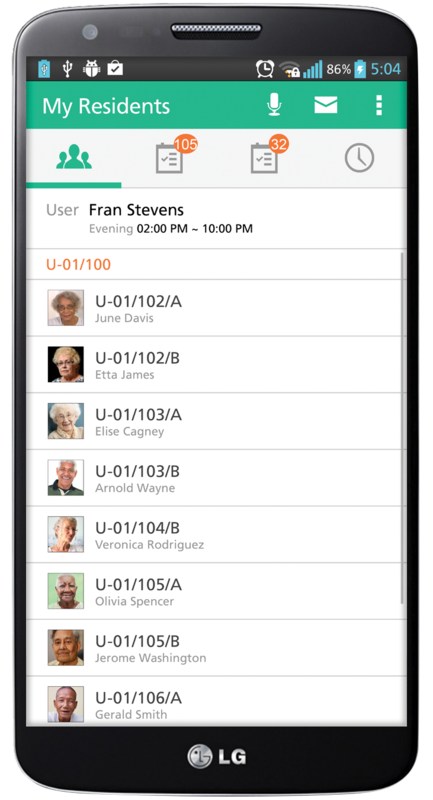 Provide devices or caregivers can use their device with the Bring Your Own Device (BYOD) solution, for the ultimate in flexibility. Mobile Device Management ensures HIPAA compliance. If a device is lost or stolen, it can be remotely wiped of data. We have seen definitely with the POCS system is improved ADL scores. We think they're more accurate now than what we had before, either with another electronic system that we used or certainly paper because again it's real time they can do it on the run. Simplicity and ease of use result in end user adoption at its highest level. Instant access to information without chasing down paper trails results in faster decisions and improved care. Workflows addressing today's realities in healthcare create efficiencies quickly.